THE INAUGURAL FLIPPIN' FUN RUN! A new chip-timed, foot race for Sugar Land, Texas! Calling all runners to join us at the beautiful Brazos River Park for an easy and flat 5K loop that includes part of the beautiful Brazos River trails. This will be a fun, scenic run to add to your spring schedule. The park features native wildlife, and our run is the perfect way to explore it! AND the 5k, 10k, and virtual racers will receive a t-shirt and finisher medal! Both the 5K and 10K are USATF certified courses. The 10K repeats portions of the 5K course to complete the distance. 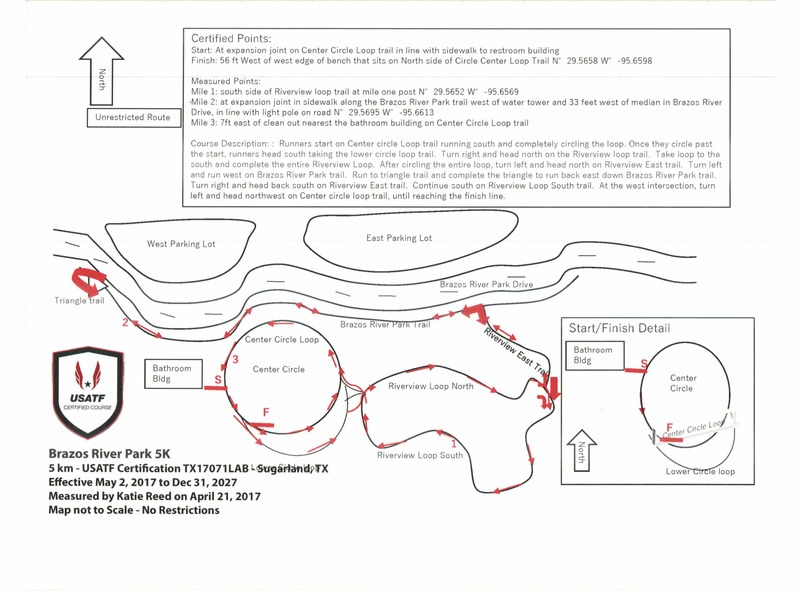 The official description of the 5K is: Runners start on Center circle Loop trail running south and completely circling the loop. Once they circle past the start, runners head south taking the lower circle loop trail. Turn right and head north on the Riverview loop trail. Take loop to the south and complete the entire Riverview Loop. After circling the entire loop, turn left and head north on Riverview East trail. Turn left and run west on Brazos River Park trail. Run to triangle trail and complete the triangle to run back east down Brazos River Park trail. Turn right and head back south on Riverview East trail. Continue south on Riverview Loop South trail. At the west intersection, turn left and head northwest on Center circle loop trail, until reaching the finish line. *Both 5K and 10K are chip-timed. The 1-mile run is NOT chip-timed. In the event of inclement weather, the race will NOT be rescheduled and no refunds will be issued. All registrants will be offered a discount for the 2020 Flippin' Fun Run in the event we have to cancel. Race day registration and packet pickup begins at 7:00 a.m.
1-mile Fun Run begins at 7:45 a.m.
5K begins at 8:00 a.m.
10K begins at 8:15 a.m.
We will have water/aid stations at mile 2 for the 5K and 10K, and mile 4 for the 10K also. There is plenty of parking available. See maps attached for parking directions. Always check the Sugar Land weather to know what you should wear. 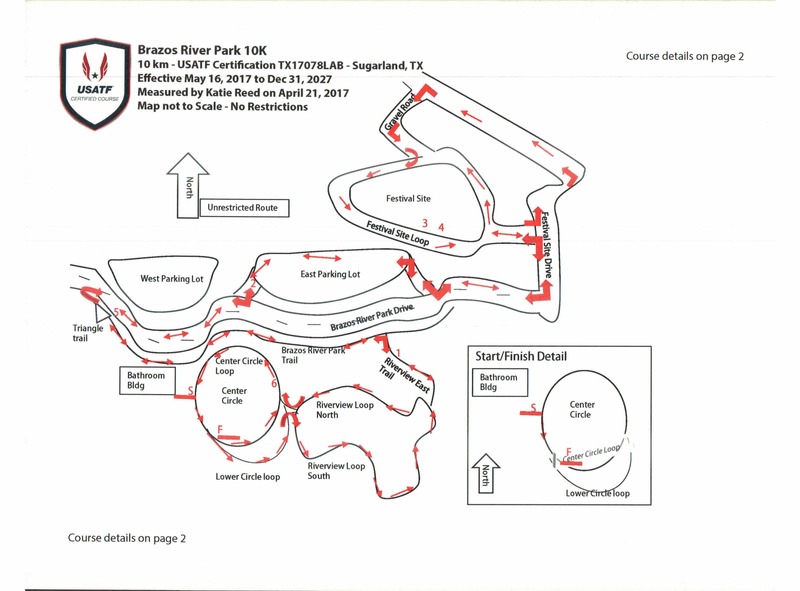 The course is all paved, but is closely situated to the Brazos River in portions of the route.